Welcome to Castleton, a university that is as unique as you are. We value each student as a member of our family, providing a relationship-based education that helps you achieve your potential, while allowing you to impact your surroundings. At Castleton you will benefit from the natural beauty, recreational opportunities, and safety of Vermont, providing you the very best opportunity to succeed. 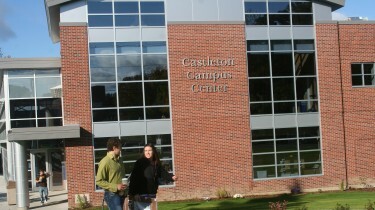 As you learn more about the university you will come to realize that the value of a Castleton education is in its people, its connections to experiential learning and positive student outcomes, and a holistic approach to education that you can’t find anywhere else. Castleton remains one of the most affordable options in the region. Comfortable residence halls, an active campus, good food, and a welcoming culture encourage incoming students to quickly embrace our community and make a successful transition to college life.